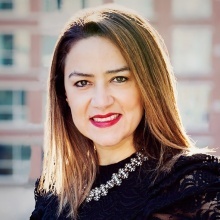 Lina Duque, MBA, is a recognized Social Media Strategist, Executive Branding Coach and University Lecturer whose work has appeared in the likes of the Harvard Business Review and Forbes. She is advisor to C-suite executives and organizations on developing thought leadership through strong and strategic online presence. Lina is a frequent speaker on digital presence and personal branding. She has presented at universities and organizations around the world, including Harvard University, McGill University, University of Toronto, Merck Group, Smart & Biggar LLP, International Association of Business Communicators and the Industrial and Commercial Bank of China (ICBC), the world’s largest bank. Lina has an Executive MBA from the Ivey Business School, Western University (Canada). Connect with Lina via her website LinaDuqueConsulting.com or on Twitter:@LinaDuqueMBA.